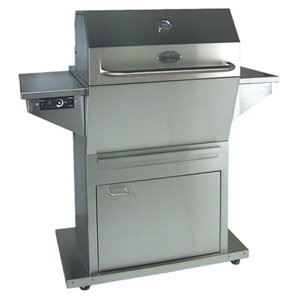 A wood-pellet fuelled BBQ big and hot enough to cook up a family of burgers in no time. Sleek stainless steel appearance makees for a classy deck or patio! Height: 48" Width: 46" Depth: 30"